ANAHEIM, Calif. – (KCAL / KCBS / CNN) – A bilingual menu apparently set off a customer in Southern California. .
"It's says it in Mexican. We're not in Mexico. We're in America. Not Spanish," the customer can hear saying on video. 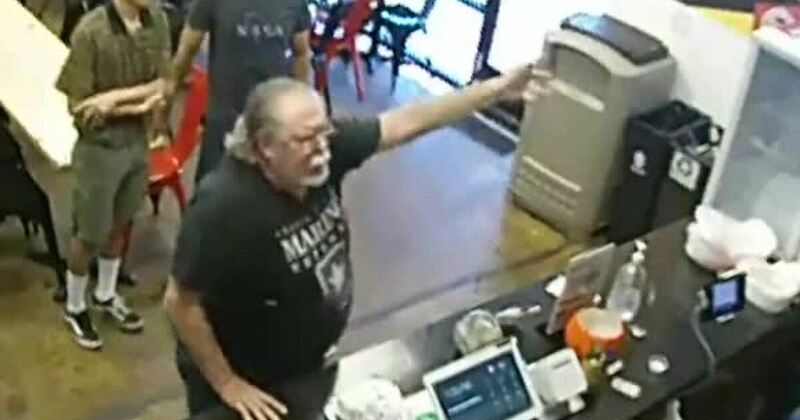 Video also shows him yelling at customers who try to come to the cashiers' defense. "I'm an American! I don't do Spanish," the customer says. "Go get a hamburger. Go get a hot dog," one person says to the man. "My cashier was really shaking when he left. He was aggressive. He was not having a good day," said the restaurant owner Juan Del Rio. Even when the cashier pointed out, witnesses say the man didn't let up. "Because you're not legal!" the man says. "This is over a taco," Del Rio said. "One works honorably. We don't take the bread out of anyone's mouths," said Velasquez. hates his life, "said Del Rio.